Past rectors have a habit of living on in the College community, not only in memories but also in the faces of their portraits solemnly gazing down at those working in the library. Many of the rectors prior to the re-foundation of the College in 1818 are little known today, but one of the most remarkable was a widower who became a Jesuit and did much to improve the administration of the College: Thomas Fitzherbert (1552–1640). Thomas Fitzherbert was born at the family seat of Swynnerton, Staffordshire, on 4 September 1552. From 1568 he was a student at the University of Oxford, where he met many other like-minded Catholics, including the future martyr St Edmund Campion (1540–81). The university was well-known for its Catholic sympathies at this time, although these landed Fitzherbert briefly in prison in 1572. In 1580 Fitzherbert married Dorothy East (d.1588) of Bledlow, Buckinghamshire. 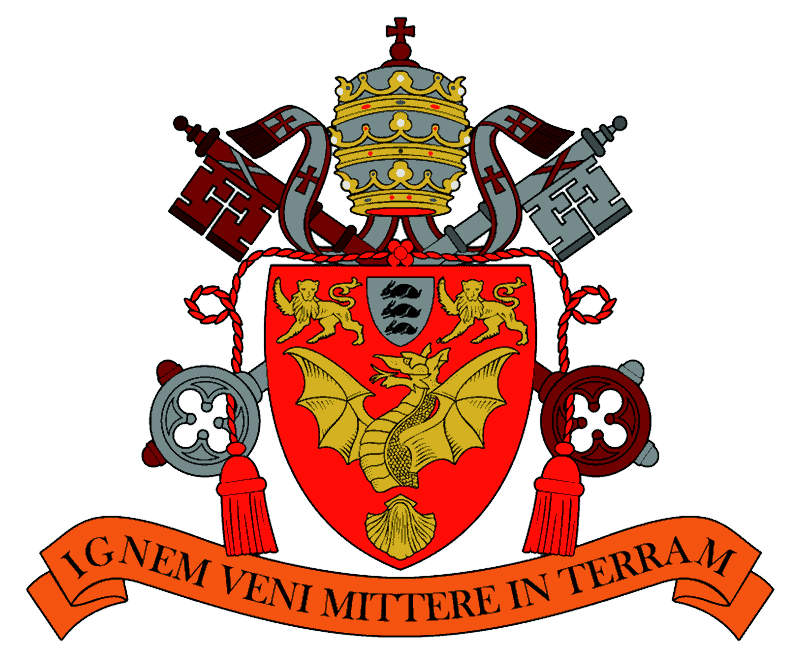 The same year he was part of the association of young gentlemen formed to support the mission of the Jesuits Edmund Campion and Robert Persons (1546–1610), the latter of whom was also a future College rector. It was Fitzherbert who checked the references to the Church Fathers in Campion’s famous Decem rationes (Ten Reasons) published in 1581. Like so many English Catholics, Fitzherbert and his wife decided to move across the Channel where they could practise their faith openly. He served the French queen mother, Catherine de’ Medici (1519–89), and also worked on behalf of her daughter-in-law, Mary Queen of Scots (1542–87). After the death of his wife in 1588, Fitzherbert moved to Spain and in 1596 became English secretary to Philip II (1527–98) in Madrid. The network of exiles was not only bound by matters of faith, but actively involved in European politics; Fitzherbert was an important cog in the system and was viewed with suspicion by the English authorities. English Catholics were widely seen as a threat to the Elizabethan regime and in 1598 Fitzherbert was accused of being associated with Edmund Squire (d.1598) in plotting to kill the queen. According to the unlikely claims, Squire had sailed with Francis Drake (c.1540–96) on his last voyage, had been captured by the Spanish and then released on condition that he rub poison on the royal saddle. Squire was eventually executed and Fitzherbert had to defend himself in his two published works, An Apology of T. F. (1599) and A Defence of the Catholic Cause (1602). By this time, the widowed Fitzherbert had decided to become a priest. He was ordained in Rome on 24 March 1602. He initially worked as Agent of the English secular clergy, and wrote books such as A Treatise Concerning Policy and Religion (2 vols, 1606 and 1610), which responded to Machiavelli’s The Prince. On 31 July 1614, the anniversary of the death of Blessed Ignatius Loyola (c.1491–1556), who was not canonised until 1622, Fitzherbert entered the Society of Jesus and took his solemn vows in Louvain four years later. He then became rector of the Venerable English College, aged 66 – a mature age at that time for such a new undertaking! He was clearly up to the task, however, for he remained in post until 1639 and made many important contributions to the life and mission of the College. Having managed his family estates at Swynnerton, Fitzherbert had considerable experience in the ways of the world. 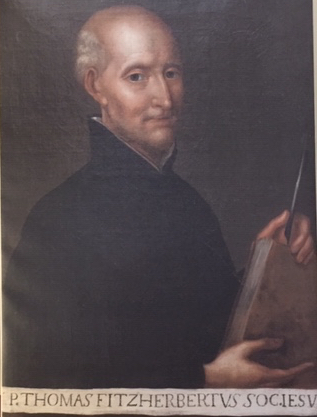 In 1630 he commissioned the College architect, Orazio Torriani (1578–1657), to undertake a full-scale survey of the many properties belonging to the College across Rome. 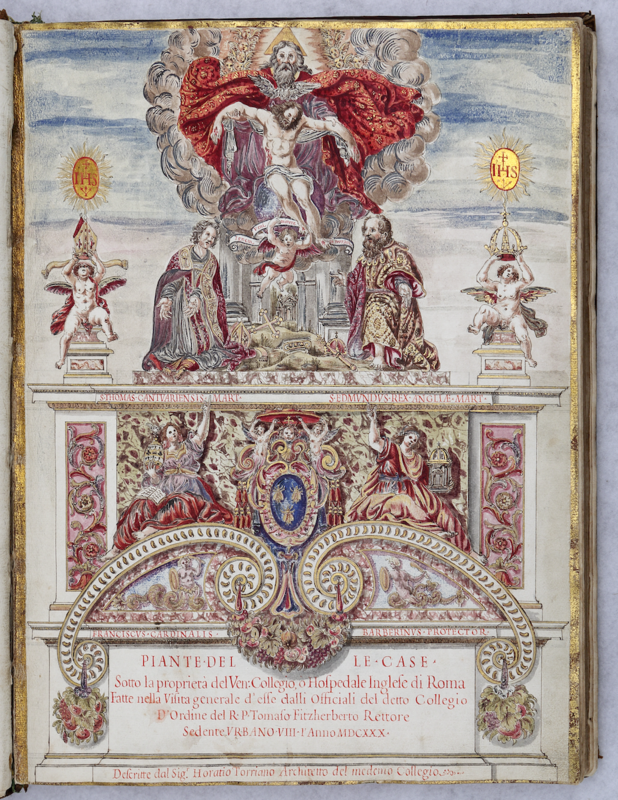 The thorough survey still exists in the Archive (AVCAU Liber 249) in three volumes, with high quality coloured plans and a magnificent title page depicted at the end of this article. Sadly the planned fourth volume of the survey was never completed and most of the properties, some of which dated back to the days of the medieval Hospice, were sequestrated at various times in the eighteenth and nineteenth centuries. Fitzherbert also had a great love for the College’s rich history and can be considered the ‘Father’ of its Archive. In 1630 he arranged for a new catalogue to be drawn up (AVCAU, Liber 277): modern archivists will know the Herculean task that this involves! The Fitzherbert catalogue gives us an idea of the contents of the Archive up until the suppression of the Society of Jesus and the dismissal of the College’s Jesuit administrators in 1773. Much survived the ravages of time and it is remarkable how many documents in the Archives today still bear their pre-1773 shelfmark. These numbers, though obsolete, are being carefully recorded as the collection is being re-catalogued electronically. In this way, a clearer picture of the development of the Archives over the centuries can be obtained with the help of Fitzherbert’s pioneering work. Thomas Fitzherbert died on 7 August 1640 and was buried in the College chapel. Widower and Jesuit, business man and archivist, the English College stands in his debt and his name must certainly never be forgotten.